Why is it that Dyson, a vacuum cleaner manufacturer, provides better information for potential and existing customers than a company manufacturing investment funds? How is it that Nike, a sports footwear, apparel and equipment company, can use digital to visualise data in a clearer way than a company that wants me to invest many thousands of pounds into their fund(s)? Let’s face facts. Fund information for investors isn’t working right now. Traditionally, the investment community relied on the printed fund factsheet – two static pages of investment enlightenment for the end investor. It’s since moved into the ‘digital age’ with a new innovation…the factsheet pdf. Granted, a step up from paper but not exactly a glimpse into tomorrow’s world. Today, some companies excitedly point you to a web page dedicated to fund information, but for the most part it’s the same flat information that you’d find in a paper-based factsheet, but this time in ‘digital’ pdf format. With customers becoming more digitally savvy, investment information needs to match their rising expectations. Yes, we’re only talking about the humble factsheet here, but let’s not forget that poorly delivered information of this kind will certainly affect investors’ ability to make informed decisions. In an era where bodies like the Financial Conduct Authority (FCA) are pushing the financial sector towards greater transparency, surely more needs to be done? Financial services companies have excellent, important products that make a big difference to people’s lives. But it’s not easy for investors – often the general public – to access the up-to-date, relevant information they need to make informed decisions. Customers today want to understand money and investments, particularly since the 2008 crash. Fund factsheets are the first port of call and are still the most downloaded documents when it comes to looking at investments, so it’s vital that companies invest in improvements. Why shouldn’t investors be able to touch, feel and interact with investment information? Where are we now? What are the barriers? The technology is already there to help investors make clear and educated investment decisions and is being cleverly used by other industries to improve user experience. It’s just not being harnessed in the right way to deliver information in a digestible manner. Many financial companies aren’t stepping up to the mark for a number of reasons. There’s going to be a cost involved in upgrading – companies will need to invest time and money in doing things differently. And the financial services industry is beset with red tape, bureaucracy, rules, regulators and compliance. The FCA has done a lot in cleaning up financial services and making sure the information provided is clear, fair and not misleading but certainly more needs to be done to ensure that fund information doesn’t become the next regulatory time bomb. Most financial service providers have a tendency to think ‘if it’s not broke, why fix it?’ and to ‘follow the herd’. But fund factsheets in the UK are broken and they have been for a long time. In fact, they’ve never really been good enough. They’re difficult to understand, almost immediately out of date, not engaging or interactive and they don’t provide enough information for customers to make informed decisions. People make important decisions based on fund factsheets, so financial services companies have a responsibility to step up. They need to improve the investment information they provide, update it more frequently – preferably in real time, and make it far more engaging. It will only take one company to invest significantly in this area and become the catalyst for change, with others sure to swiftly follow. 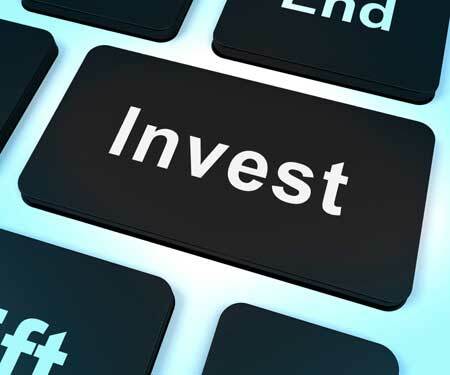 Investors are often members of the general public, who are used to living in a tangible, retail world, and they need to properly interact with the investment process. So the design of the user interface needs to do more to help people interact with the process and make informed decisions, even to the extent of letting them challenge advisers and providers. Context, too, is essential when it comes to making good investment decisions. Fund factsheets in a new form should not just show a fund’s performance, but explain it – what happened, and why did it happen? There needs to be context and commentary around a fund’s performance, so users can gain a knowledge and understanding of why or how a fund performs the way it does. Only then can they make the decisions they need to make. A major problem with the fund factsheet lies in its static, out-of-date form. When investors come to look at factsheets – digital or paper-based – the information is generally already out of date. Factsheets are generated and can then sit for a month or more, making it impossible for investors to make knowledgeable decisions at a particular moment in time. Information needs to be much more readily available. Not only that, information needs to be easily accessible on mobile and tablet devices. Around 7 out of 10 people in the UK now have smartphones, so investors are carrying a lot technology around in their pockets – they naturally expect to be able to access the things they want to discover on the go, and this includes investment information. It’s clear that nowadays people expect a lot from technology. They demand real-time information and expect a user-friendly interface and excellent, intuitive design that provides an immersive experience. And with these expectations already being met in many other industries and from many other companies, financial services shouldn’t be any different. Financial services companies need to invest strongly in this area to catch up with this growing expectation. This investment is worthwhile for many reasons. Institutions have a responsibility to provide investors with the right solutions to enable them to make the best decisions. And, not only that, investing in these areas can even help financial services companies restore lost trust and loyalty. It seems undeniable that fund factsheets have had their day in their current form, though they will still continue to exist in some shape or form. The underlying technology already exists to give users the improvements they need: full transparency and understanding, real-time information and an engaging experience. Now it’s just up to financial services companies to step forward and start investing in this crucial area.